Tottenham Hotspur vs Newcastle United mega match preview | NUFC Blog. as I mentioned, the Magpies beat the mighty Pensioners of Chelsea last time, though it could be said that we have become something of a ‘bogey’ team for them, having won three of our last four games against them (all Premier League). However, the same cannot be said of their fellow London giants, Tottenham. Though we won our last but one game against them 2-1 at home at the beginning of last season, that has been our only victory in the last seven. Looking just at Newcastle’s games at White Hart Lane, we have lost the last four. The one before those four away defeats was a truly memorable game though as they were soundly thrashed 1-4 in their own back yard back in March 2008. 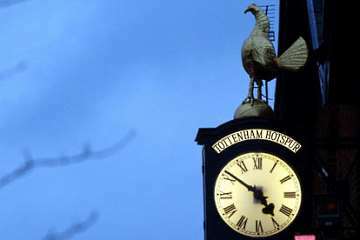 Tottenham subsequently gave the Magpies an ever bigger thrashing the season before last though with 5-0 victory at their place in February 2012. Tottenham Hotspur and Newcastle United last six Premier League games (most recent first). Tottenham manager Andre Villas-Boas confirmed that goalkeeper Hugo Lloris will return after getting a nasty bang on the heed and getting concussed in their last League game against Everton, missing Tottenham’s Thursday Europa League game against Sheriff as a precaution. Doubtful: Sandro, Nacer Chadli (both hamstring). Alan Pardew confirmed that Fabricio Coloccini and Cheick Tiote should be available for selection with Captain Colo now recovered from the groin injury he picked up on international duty a few weeks ago, and ditto for Tiote who picked up a bit of a calf strain in the last game against Chelsea. Injured: Steven Taylor (hamstring), Jonas Gutierrez (family leave or something like that), Ryan Taylor (Anterior Cruciate Ligament). Andre Villas-Boas looks forward to the Newcastle game. Alan Pardew’s pre-match press conference. Do you / did you support the march against Mike Ashley? Think you’ll find we’re playing tomorrow at 12 noon! I think Arsene Wenger will be quaking in his boots that Pards thinks he did a better job than him against Chelsea. “Willo kept his head down and continued to work hard and training despite his isolation from the squad on a Saturday afternoon. At Everton Mike got his chance as he was named on the United bench, he then managed to play the second half of the fixture replacing Mbiwa who had a terrible game. Williamson came on and credit to him he played very well in the second half. Since our return to the Barclays Premier League, #NUFC have earned 31 clean sheets – Mike Williamson has played in 21 of these. 21 clean sheets in 31 games. I sort of disagree with Marktoon above. Williamson has kept his place because Coloccinni and MBiwa cannot play together – or at least not from what I have seen so far. GS @2: well Pards did do a better job against Chelsea than Wenger :) It is funny to see him crow about it though. How about that Man City away game? or enter twice by commenting to both. Competition closes midday tomorrow. And meanwhile, no-one ever questions Coloccini, but he isn’t a perfect defender. As I’ve said before, he isn’t the best in the air and he needs someone beside him who is. Watching a real entertaining side, Southampton playing against a decent Hull side. It is unfortunately a no contest matchup, S’ampton playing a high paced relentless game, that has them ahead three zip. As i mentioned before, they are the real deal, with some excellent players, presently being watched by Woy. And wouldn’t be surprised to see him pick Lallana, (who scored an excellent goal) and Lambert plus Rodrigues. With Lambert on 15 goals and at least six players having five and over, there’s plenty of goalscoring. Plus they remind me of an English Barca. like side, relentless in recovering the ball, with no passengers, everyone putting out maximum effort. Bruno Martens @ Feyenoord 21 yr. old future star, get him, perfect Colocinni replacement. More of an even game in the second half, with a heavy legged S’ampton, playing a possession game, forcing Hull to chase the ball and using the fast break when the opportunity arose. I suppose the tactic is, to go all out to gain as much of a lead as possible, but unlike NUFC defend by keeping possession and when being pressed to take advantage of opportunities to break out. Also use all three subs early enough to count. Chuck, your mate Steve Clarke was absolutely robbed at Chelsea. West Brom were beating them 2-1 when Ramirez threw himself at Steve Reid’s shoulder then fell over in the box right at the end of the game. Andre Marriner then awarded Chelsea a ridiculously soft penalty and Chelsea got the point. One hell of a game by Palace to get a home draw against Everton, some set of fans at Palace, through thick or thin, they love their side. Too bad looks as if they are up for a cup of coffee only. Two ex managers coming up BSA vs Chris Hughton, two sides badly in need of three points, should be interesting. Yeah saw that too bad. To-morrow’s two games should prove interesting, our game with Spurs, plus the Arsenal vs Man. U. game, a north south rivalry. If Arsenal beat Man. U. and i fancy them, it could be curtains for any Man U. comeback. I would be fine with a draw at WHL. John Terry (Captain, Legend, Leader) has made a good career out of being slow and good in the air. Williamson for England. Good victory for Norwich over Fat Sam’s West Ham. Hughton turned things around very well at half time after a pretty shite first half. Glad for Chris. Football365 have taken to calling Fat Sam Allardici because of his inflated ego. I am watching Inter against Livorno and there was a candidate for own goal of the season. And what is that lad Palacio doing with his hair? Please someone tell him that even Roberto Baggio couldn’t pull that off. Bald and a Roberto Baggio is just taking the p*ss. Damn you Palacio. I thought you had the worst taste ever, but then I saw this site from our opponents tomorrow. I think Ralph embraced his un-style. I think these two thought they were cool. Did you catch the moves from the Waddler? Good footballer, bad dancer. Yeah watched the BSA Vs. Hughton game. Another case of the two proverbial halves. Very happy for Hughton, couldn’t happen to a nicer guy. Though i doubt he was very nice during the half time talk, cause he certainly woke those guys up, from their somnolent stroll through the first half. Again it proves that a side that works hard just like Palace against Everton and Norwich, not to mention the frantic pace played by Southampton, have a great shot at a good result. Is Chris Waddle a robot? with the possibility of around eight side reaching twenty points by this time to-morrow. Though i believe looking at Arsenals recent run of games in both the league and Europe, they have to be favored for to-morrows game. With a possible eight points ahead of their rivals. It’s also a key game for Man U., whith Rooney attempting to use a bit of verbal intimidation, which sounds more like it should be Man U. who should be worrying. If they loose this one it will place them firmly in mid level mediocrity and eleven points behind the leaders. A lot of points to make up. Though there are still plenty of horses in the race. I think if we can take a point from Spurs to-morrow, we would be doing ok, but then who thought we would beat Chelsea. Glenn Hoddle’s doing nearly all the singing in that, GS. Chrissy Waddle’s just miming and mumbling a few bits. Do you remeber this one, GS? It made me feel really proud to be a Geordie when it came out. @27: I have been in Chicago since 1990 and was spared that atrocity until now. I had to turn the sound off. What is it with these Spurs players and their hatred for music? There was that one with Ardiles as well. It makes Agga Doo seem like Beethoven. Of course, if you want interesting lyrics you have to go with their fellow Londoners and “blue is the colour”. Nothing beats the classics though – “Geordie boys we are here, shag your women and drink your beer”. What else is there to say after that? GS, Could you imagine anyone belting out a few choruses of “Harry Roberts”, This day and age? In the top 5 worst ever Toon kits for sure. The match banter post is up now.